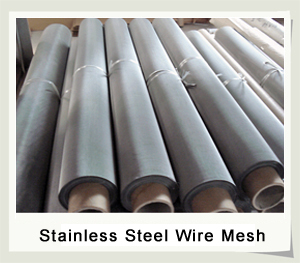 Stainless Steel Wire Mesh |Anping County Zhenyu Metal Mesh Products Co.,LTD. Stainless steel :Stainless steel is selected for their wear-resisting, heat-resisting, acid-resisting and corrosion resisting characteristics. Many different grades of stainless are used in wire cloth.T304 is the most common, but other are used in specific applications to take advantage of each grade’s unique properties. The wire mesh made of stainless steel is extensively used in mining , chemical industry, food industry and pharmaceutical industry. 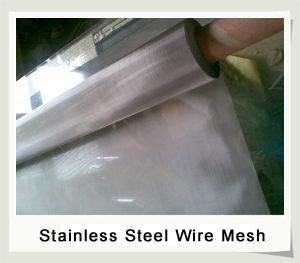 Our stainless steel wire mesh products are generally made of stainless steel Type 302,304,304L,316,316L,201 and 430 etc. We produce wire cloth in all kinds of forms. The weaving is determined according to our customers’ specific requirements, such as the material, the wire diameter, the size of the mesh , width and length. Plain Dutch weave: woven as a plain weave. Each warp wire and each weft wire passes over and under the next adjacent complementary wire, as in normal Plain Weave, except the warp wires are larger in diameter than the weft wires. 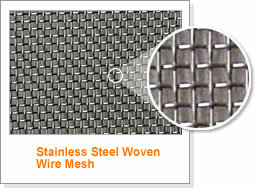 This allows a greater mesh count in the weft direction. Characteristics: ”zero”—aperture, more solid than square or rectangular mesh, relative high open area, suitable for all kinds of filtration. Characteristics: ”zero” aperture, light-proof woven, high resistance due to tight wire position, extreme low absolute grade of fineness(down to 5-6μm),high filtration performance in case of low viscose medium, it is the finest filtration in hydraulic systems, especially for critical applications as aero-space, fuel-and combustion.